﻿ What is an Au Pair? 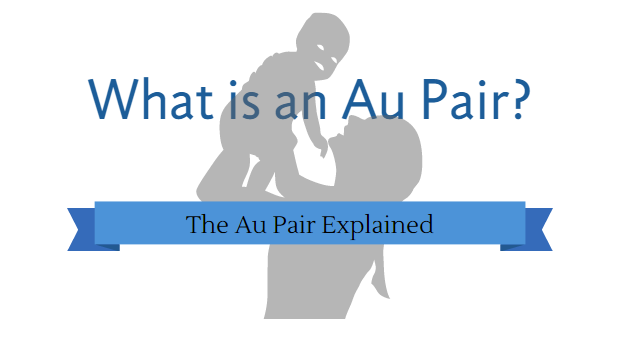 What is an Au Pair? Home » What is an Au Pair? An Au Pair is a young woman, usually from another country who lives with your family as part of a cultural/travel experience and provides childcare services for a fixed period of time. Historically Au Pair programs were designed with the intent for people to exchange cultures, thus an Au Pair lived with a family in a foreign country while learning their language and exploring all that the host country had to offer. Au Pairs have been popular in Europe for decades but the Au Pair experience is relatively new to Canadian families. An Au Pair’s responsibilities are generally only related to childcare. Au Pairs usually work between 25-35 hours per week, are flexible and can care for your child at times that accommodate your family’s schedule. As a member of the household, the Au Pair should contribute to small, everyday tasks like unloading the dishwasher, helping prep dinner, keeping her bedroom and bathroom clean, but only in a way that is similar to the contributions of other members of the family. The Au Pair should expect to participate in many of the family activities and special occasions and is considered an extended member of the family. In today’s busy world of two income households, there are really few options for childcare. Not many families have the availability of Grandma or another relative to take over childcare responsibilities during the day. Daycares, expensive nannies and before or after-school care facilities are a strain on a family’s pocketbook. An Au Pair earns a modest wage that follows provincial guidelines and is much more cost efficient for families than Live-in Caregivers, not to mention there is far less red-tape for families using the Au Pair model. Aside from the obvious financial benefits, an Au Pair provides busy parents with a much needed extra set of hands around the home. An Au Pair lives in your home and becomes part of your extended family while acting as a loving caregiver for younger children and a big sister to older children. An Au Pair often has a Driver’s License, which is very helpful in running children to school or activities when parents are busy. 1) Do you have the space in your home to provide the Au Pair with a comfortable living arrangement? Do you have a private bedroom and/or semi-private bathroom? 2) Are you willing to be more than an employer and provide a comfortable, welcoming and life-changing cultural experience for your Au Pair? 3) Are you interested in a lifelong relationship between all members of your family and your Au Pair? 4) Is your family tolerant and open to learning about other cultures, languages and customs? 5) Are you prepared to give up some privacy in exchange for the convenience of in-home care for your children? If you are able to say “Yes” to all of the above questions then an Au Pair may be a great fit for your family. Perhaps one of the most rewarding aspects of having an Au Pair join your family relates to the life-long friends and connections that are created from the experience. The family benefits from the infusion of foreign language and culture in the home. The children learn about geography and life in another country. Benefits to the Au Pair include the growth, development and maturity that come from international travel as well as living and working in a new and challenging environment. Over the years, the kind words written by our Au Pairs at the end of their tenure has been inspiring and moving. Their positive experience serves as a reminder of the importance of the Au Pair’s year abroad and how impactful the experience will be on her future (see our Au Pair Testimonials).